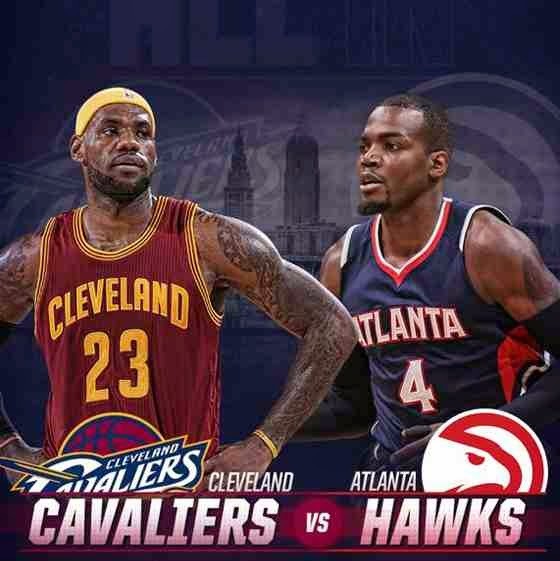 Hawks vs. Cavaliers: TV Schedule (BTV and ABS-CBN) - NBA Playoffs 2015 Eastern Conference Finals - Balita Boss! Atlanta Hawks and Cleveland Cavaliers, the two best teams in the East during the regular season will fight for the right to represent the Eastern Conference in the 2015 NBA Finals. The Hawks advanced to the Eastern Conference finals for the first time by beating the Washington Wizards in Game 6 to take the series 4-2. The Cavaliers eliminated the Bulls from the 2015 NBA Playoffs also in Game 6 to enter the conference finals. Here's the complete schedule, TV info and start time of the Hawks vs. Cavaliers - Eastern Conference Finals. Cavaliers won the series 4-0.